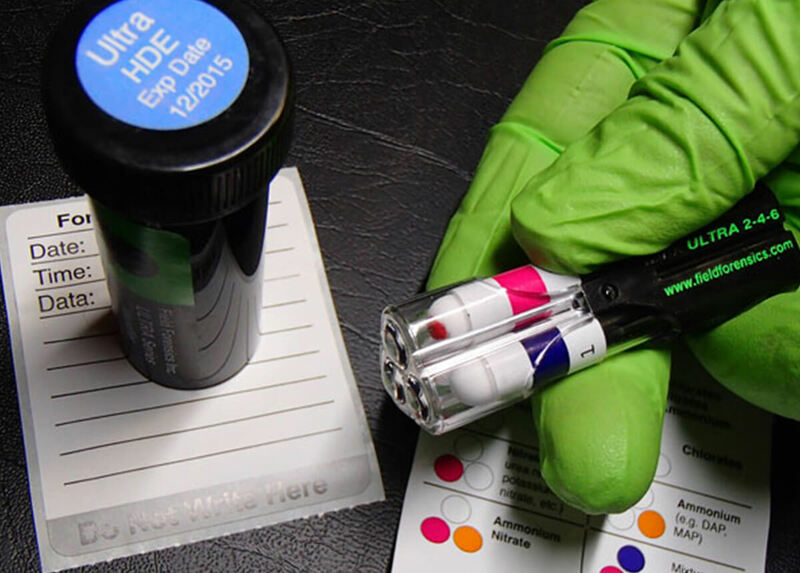 FFI Tactical now offers the Field Forensics ULTRA-HME™, a field kit with colorimetric tests to identify chemical materials used in making home-made explosives (HME), including metals. The ULTRA-HME™ kit can identify the widest range of HME materials, compared with other field test products, and is an extension of the field proven ULTRA™ and IDEX™ test kits, which are successfully used by elite military and police units around the world. With ULTRA-HME™ users can detect and identify dozens of explosives and precursors in less than two minutes.